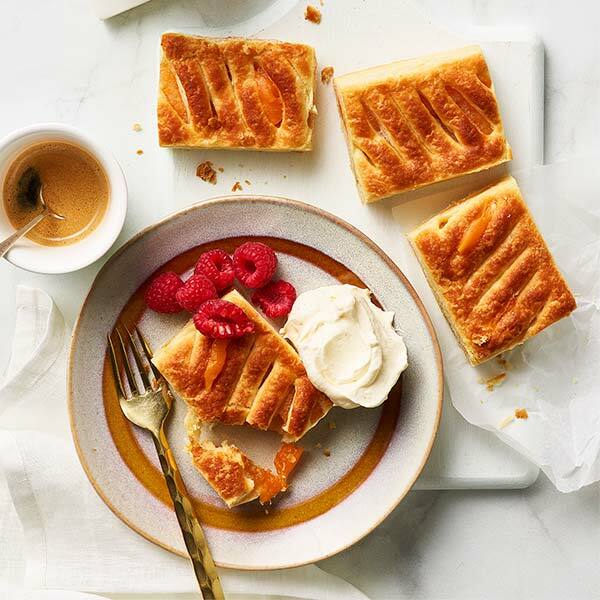 Sara Lee's Light Apple and Peach Tray Danish has been specifically developed to meet the nutritional requirements of many hospital and aged care menus. 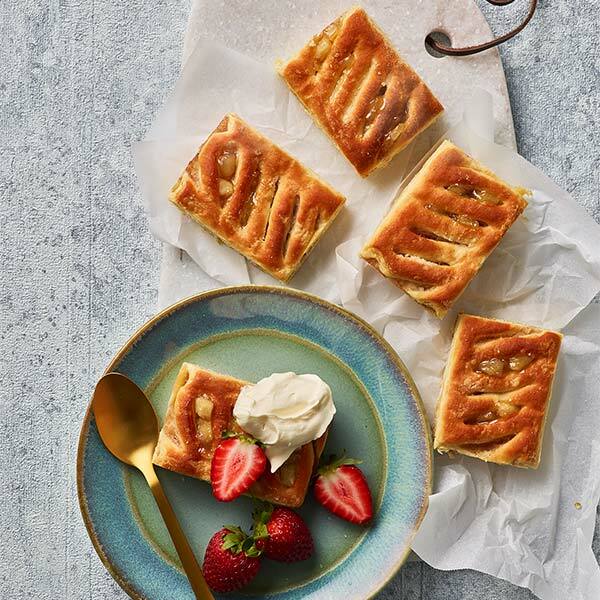 Sara Lee's great tasting Light Apple & Peach Danish is ideal on its own or simply add a touch of fruit and custard to create a warm homestyle dessert. 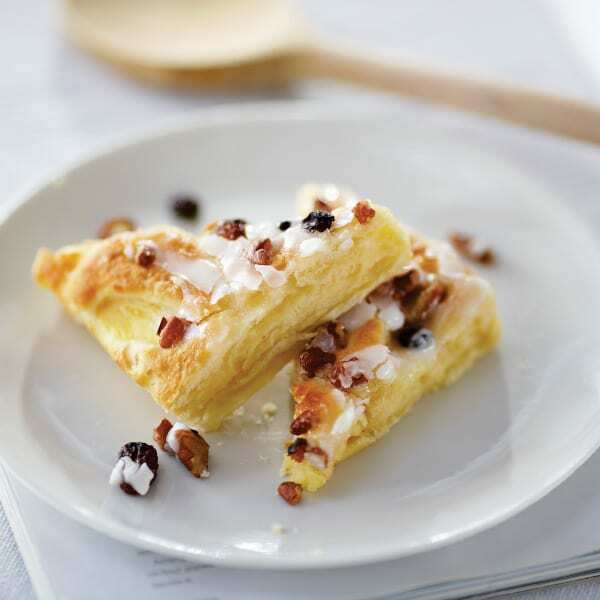 This danish is easy to cut into portions and plate serve. 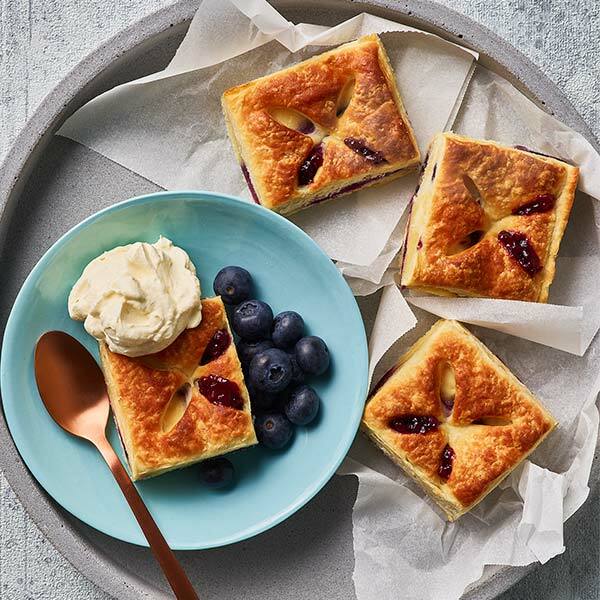 Wheat flour, apple (24%), peaches (17%), sugar, butter, thickener (1412), yeast, margarine (vegetable), milk solids, egg white solids, lemon juice (from concentrate), emulsifiers (vegetable - 471 soy, 475), salt, citric acid, glucose syrup, vegetable gum (414), gelatine. CONTAINS GLUTEN CONTAINING CEREALS, MILK, EGG AND SOY. MAY CONTAIN TRACES OF PEANUTS AND TREE NUTS. Ingredients and recipes for our products do change from time to time. Please consider the ingredient list and nutrition table on our packaging prior to consumption of our products.